As your car approaches 100,000 miles, the choice to keep it or trade it needs a response. If you enjoy the automobile and it runs nicely, maintaining the car for another 50,000 miles might be the ideal choice. By doing this you will save thousands of dollars. Here is what you will need to do so as to drive your automobile another 50,000 miles. You love your car, but it is approaching l00,000 miles. It runs well. Purchasing a new car will saddle you with a monthly payment for 5+ years. You do not need or want that expense in your life today. Here are five ideas to get another 50,000 miles of driving out of your vehicle. The overall cost is surprisingly low, and this will save you a bundle of cash. Your car is full of various fluids which help your vehicle perform a variety of functions, such as staying cool and lubricating internal moving pieces. 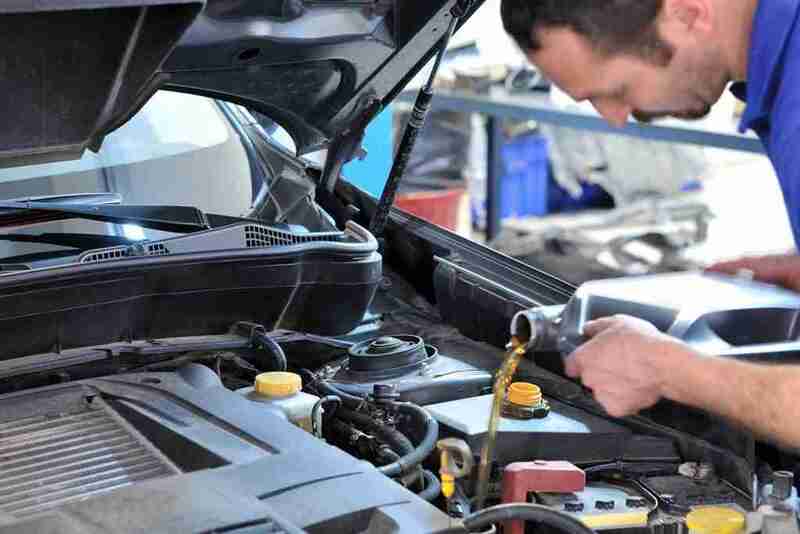 Over time, these fluids break down and no longer do the job of making your car engine run smoothly and efficiently. Dirt and grime work their way into the fluids, resulting in a loss of efficacy. These fluids also have critical additives which break down over time and are not intended to last outside their recommended service intervals. Some mechanics and manufacturers will recommend flushing out the systems before adding fresh fluid. Others will say it is not necessary since the flush pops up gunk and dirt that is best left undisturbed. Incidentally, all hoses which move the fluids should be inspected and replaced if cracked or leaking. This fluid replacement will cost about the same as a monthly new car payment but will give your car a new lease on life. At 100,000 miles, your vehicle is likely due for a brand new set of tires. Do not pinch pennies when replacing tires. Tires are the only portion of the vehicle that actually comes into contact with the ground. Excellent tires help the car stop better and maintain a stable grip on wet or slippery road surfaces. Your car may also require a wheel alignment to ensure even wear on the tires. Keep in mind that ball joints, control arms, tie rods and/or struts may require replacement before a suitable alignment could be made depending on their condition. Shop around for one of those buy-one-get-one-free sales. Big tires centers like Les Schwab can offer a package where you purchase three tires and they give you the fourth one at no cost. It’s ideal to replace all four tires. 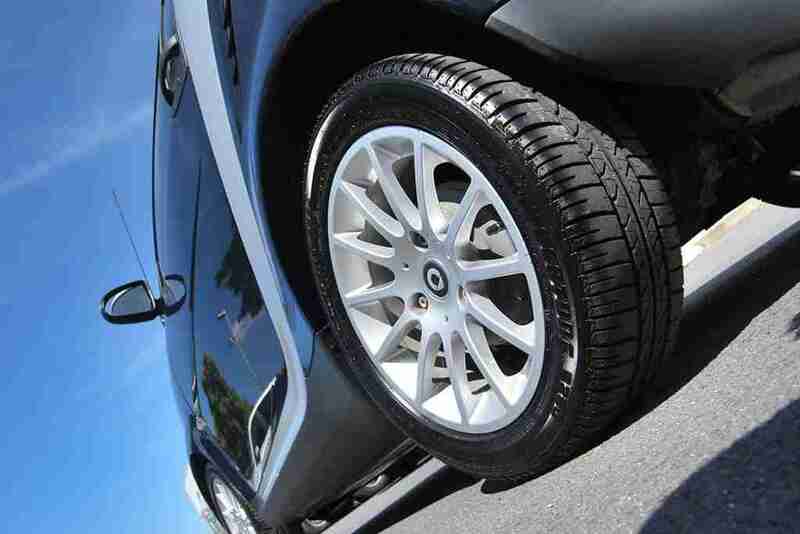 New tires will help your car with better acceleration, cornering and ensure faster stops. Your brake system is one of the most important components of your car. Learn the warning signals that your brake pads may be failing so you can schedule replacement or repair for peace of mind. 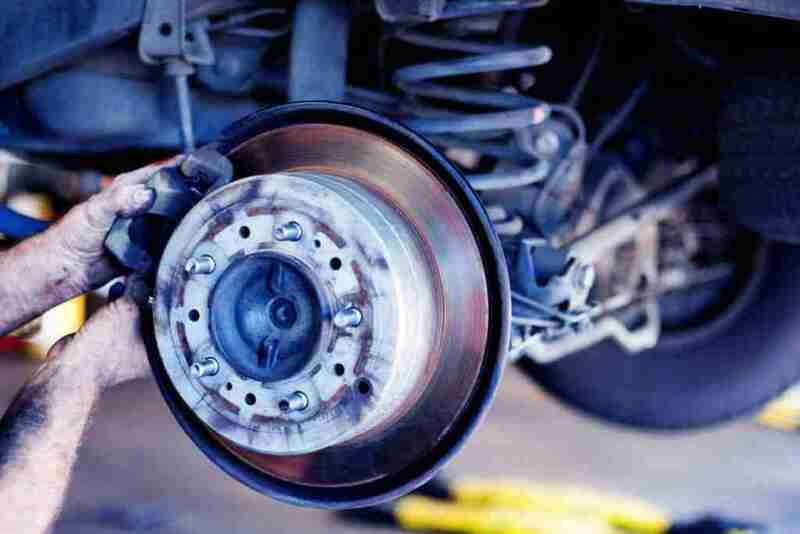 How Often Do You Need to Service Auto Brakes? As a general guideline, drivers should have their brake pads replaced every 50,000 miles. It’s intelligent to have a mechanic check the brake pads each time you take in your vehicle for an oil change, tune-up or another service. City driving, which includes a whole lot of stop-and-go traffic, is more challenging on brake pads than rural or highway driving, so urban motorists might want to change the brake pads more often. Likewise, if you’re riding the brakes as you are cruising, you might need to change your car’s brake pads more frequently. Your driving style impacts brake pad durability, too: If you brake slowly, you’ll extend the life of brake components compared to if you hit the brakes and hard stop often. While safety is always the top priority, you might change your driving habits to be easier on your car. Brake light -The brake light is designed to alert drivers To brake systems issues, so if yours is on, get things checked out. Grinding or screeching noises when you press on the brakes – These metal-on-metal sounds indicate that your brake pads are worn out and should be replaced. Soft pedal – If your car won’t brake until your foot is on the ground, you need your brakes looked at ASAP. Leaks – If your driveway is stained with leaks, you might have a leak in the brake lines – that would affect your ability to come to a hard stop. Drifting to one side when you brake- If your car pulls to the right or left when you brake, it might be a brake caliper issue. If you see any of these signs, make an appointment for auto repair now. A dependable mechanic will inspect the brake system, find what is to blame, and fix things so that you can drive safely. 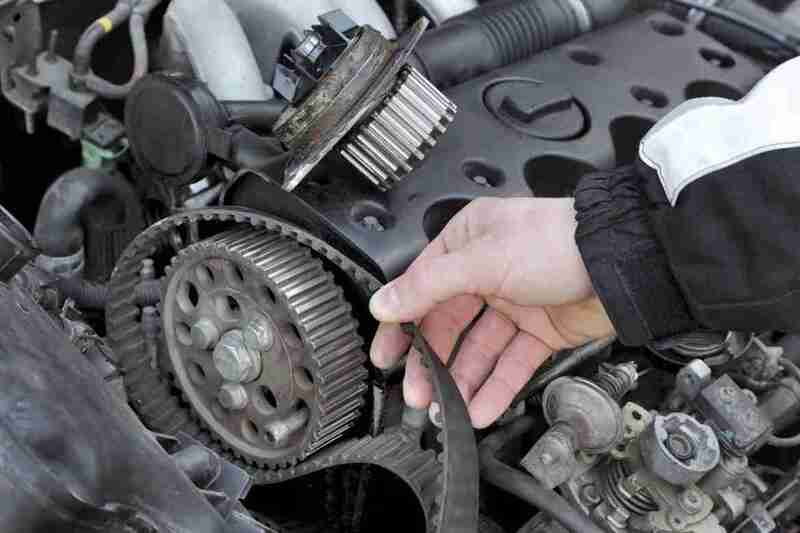 A broken timing belt can cause considerable damage to inner engine components like valves, pistons, and camshafts. The timing belt acts as a conductor in an orchestra who directs that all of the musical instruments are synchronized to make a pleasant and well-balanced operation. This belt moves the engine’s crankshaft and to make a synchronic performance between the valves and pistons in the engine to make the car perform properly. It’s hard to predict when or if a timing belt will fail, but it is a fantastic idea to change the belt at the 100,000-mile mark. A failing timing chain may give off signals such as ticking from the motor, misfires and oil flows arising from the front of the motor. The engine might not turn over. A timing belt failure, while the vehicle is cruising down the street, can cause considerable damage to an engine. 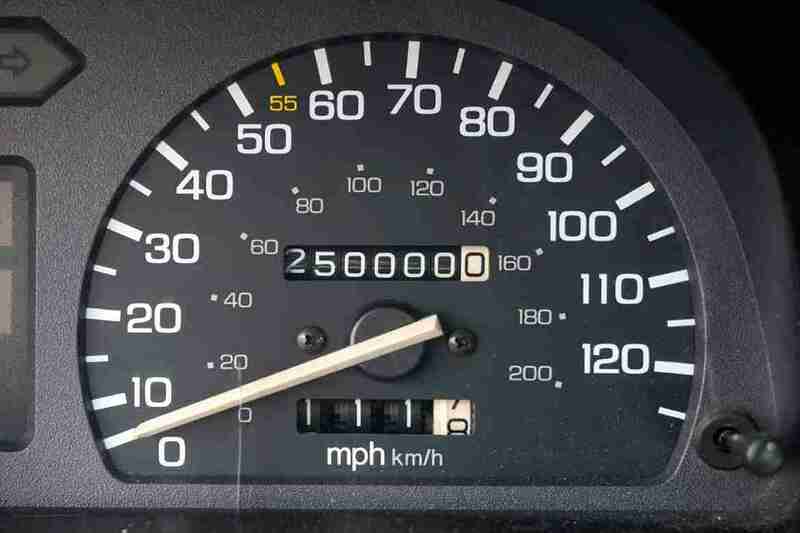 That is why it’s ideal to change this out as the vehicle nears 100,000 miles. You can also check your vehicle’s owners manual to see when it’s recommended to change the timing belt. A new belt will ensure continued top performance of your car. 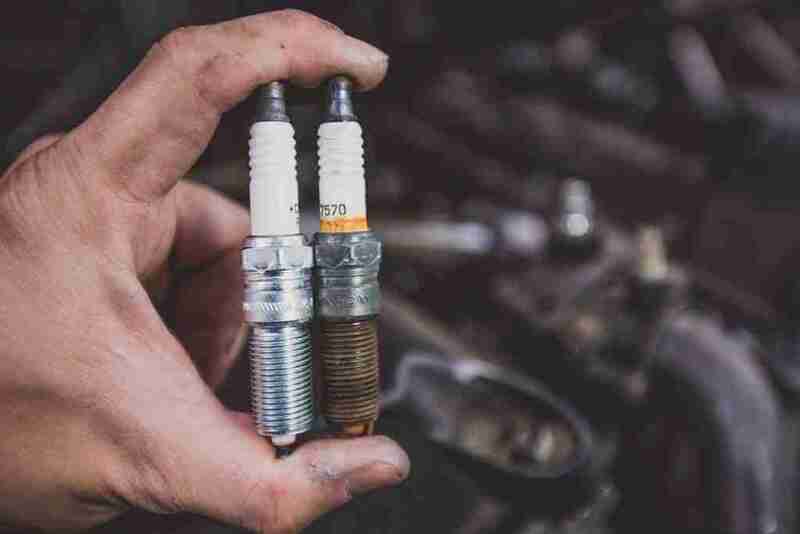 With the arrival of iridium and platinum spark plugs, the requirement to replace them at the 35,000-mile interval changed. These new plugs are made from a metal that is harder and lasts longer. Manufacturers recommend these plugs be changed out at 80,000 miles. If the vehicle has difficulty starting or the check engine light comes on, these could be warning signs of worn spark plugs. Poor acceleration and an erratic engine idle are additional indications of failing spark plugs. Pulling and replacing spark plugs is a relatively easy maintenance task that will help your car run another 50,000 miles. By servicing your car as explained above, you will extend the life of your vehicle for another 50,000 miles of secure and carefree driving. You also avoid the hit in your wallet of a $500 monthly payment for a brand new vehicle. Set aside that $500 per month into a bank account, and you will have $30,000 saved at the end of 60 months. That is enough money to buy a new car or make a deposit on a home.